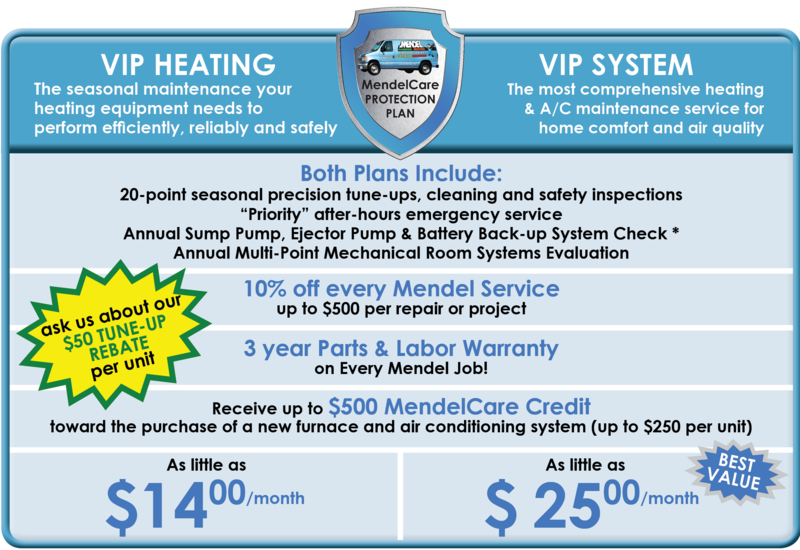 Mendel offers a comprehensive business and home maintenance program that keeps your furnace, air conditioner and other systems running safely and efficiently. We call this the MendelCare VIP Guaranteed Comfort Protection Plan. Top Reasons to Join a MendelCare VIP Protection Plan? Save 10% on everything we do! Parts & Labor Warranties Triple to 3 years! with a MendelCare VIP Protection Plan? The VIP Protection Plan is payable via automatic monthly or yearly debit card or credit card charges. This program is an ONGOING AGREEMENT, cancellable at any time. VIP Protection Plan Discounts start on next service visit after joining the plan. Either party may cancel at any time with a 30-day written notification. However, if cancelled by the homeowner prior to the annual membership anniversary date, the cost for any services rendered at discounted VIP Prices will revert to REGULAR Prices and will be due and payable at cancellation. Also, any existing 3 year warranties revert to standard warranty at cancellation. 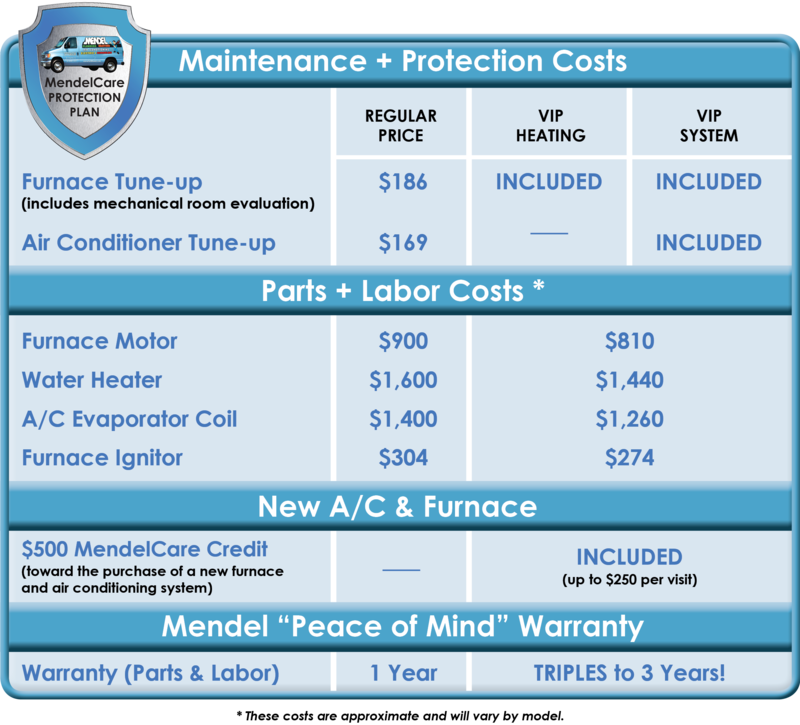 Call 630-377-3608 today to order your MendelCare Guaranteed Comfort Protection Plan!